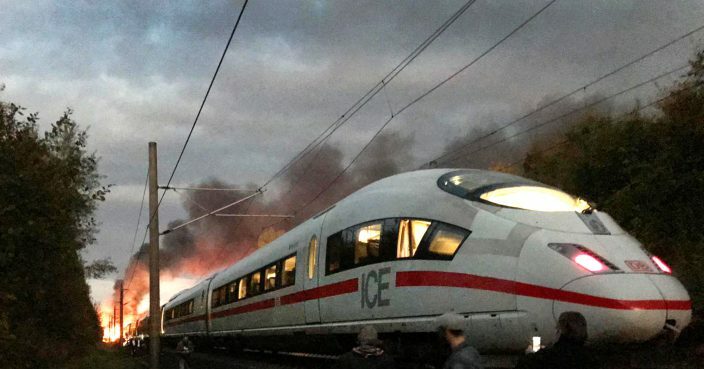 German authorities say a high-speed ICE train caught fire on the journey between Frankfurt and Cologne, causing no injuries but leading to delays along the well-traveled route. 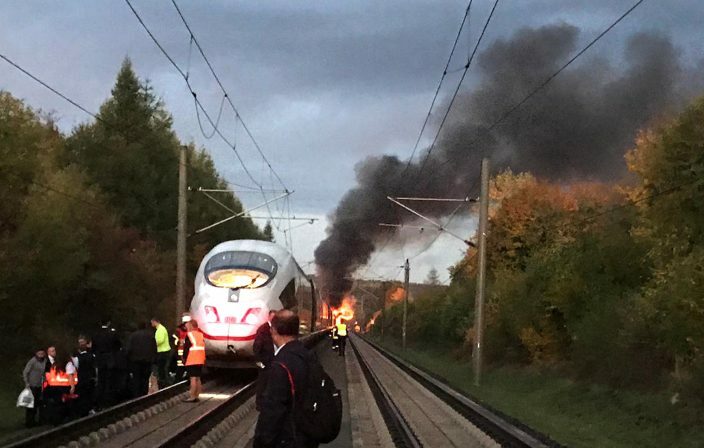 The fire broke out on the train Friday morning as it was near the town of Dierdorf. Police told the dpa news agency the train was halted and emergency crews evacuated all 510 people on board. German rail operator Deutsche Bahn says a stretch of track between Siegburg and Montabaur was shut down, prompting train cancellations and delays. A stretch of the A3 highway was also shut down due to smoke.